Boys and girls from grade 3 and above who assist the priest at the liturgy. Contact the parish office if you wish your child to serve in this ministry. Extraordinary Ministers of Communion who serve the Body and Blood of Christ at Mass and to the sick and homebound. Please contact the parish office if you wish to serve in this ministry. 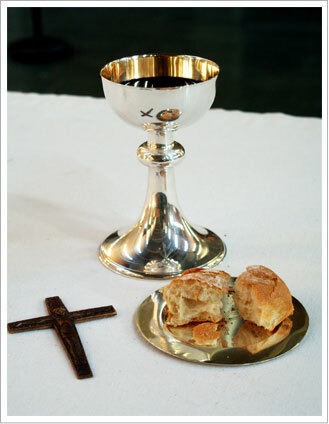 Duties include preparing the altar for Mass and cleaning the altar following Mass. Preparing the church environment and missalettes for Mass and other Liturgical services; also, for Funerals and Weddings. Join together in song, under the talented direction of our choir directors. Join us in the choir as your schedule allows. Volunteers who greet and assist people to their seat if necessary. They also take up the collections and distribute bulletins. Join us Monday through Friday for 8:00 am Holy Mass and Cenacle Prayers, Intercessory Prayers and Divine Mercy immediatly after Mass. The Rosary is recited before Holy Mass. Stations of the Cross Held every Friday of Lent at 7:00 pm and followed by Holy Mass. is celebrated on Thursdays from 8:30 am-9:15 am afterHoly Mass. The Blessed Sacrament is exposed and adored by those in attendance praying before the Lord Jesus present in the Monstrance.